"My personal impression is that mediation works great for those clients who can discuss the issues like adults, but in my experience those are few and far between at least in the beginning of the process. Then, even those clients who are interested tend to lose interest when weighing the cost of paying their attorney's and a mediator to go over the issues and trying to find a compromise, when they either do not want to compromise or are doubtful of the other side compromising." - An attorney who describes himself on Avvo as advocating "fiercely" for his clients. I've heard many times from those who primarily litigate that the majority of their clients usually want to take at least one issue to court and are unable to compromise. For the first four years of my career when I only litigated, and before I took the mediation training, that was my experience as well. However, that is no longer my experience, which means one of two things. Either my client base has changed or I have changed. Either a different self-selecting group of clients is walking into my office now, or there was something about the litigator version of myself that had an effect on my clients' willingness to settle. Or maybe it's a mix of both. While it is certainly true that there are people who seek me out now specifically for out-of-court representation or mediation, I still receive a significant number of referrals and web inquiries from people who don't yet know how they want to proceed. I believe we have a great influence on those undecided or uneducated potential litigants by how we handle that first meeting. We are not disconnected observers, and we must do a better job of recognizing our own influence on the process. Let's call it the Observer Effect of family law - how we measure the conflict between people has an effect on how they choose to resolve that conflict. My theory is difficult to test by experimentation because it's not possible to have the same people walk in for my initial interview and then walk in, unaffected, for a litigators' interview, or vice versa. However, the data provided by Dr. Emory in his Mediation Study is pretty compelling. With a flip of a coin his study decided whether couples who had already filed for a custody hearing would try mediation, and 80% settled their cases. 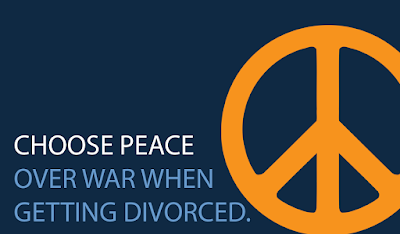 Those numbers just don't match with the anecdotal observation that most couples can't settle in mediation. With that empirical data available to us, I think we have to look harder as practitioners at how we affect the decision of clients to fight or talk. When a potential client walks into our office and tells us about the difficulty reaching agreements with their unreasonable ex, the conversation that follows will be very different depending on what assumption I start from. Do I assume that they can't work it out or that they can, if only they had the help of a trained professional? If I start with the assumption provided to us by Dr. Emory, that 80% can settle, even if they've already filed a request for a custody hearing, then I wonder how many more of those people would settle. Most lawyers, especially those comfortable in litigation, are competitive Type-A personalities. But if you really care about the well-being of your clients and their children, then when they walk into your office and ask for your help you have to ask yourself: is it you that wants to fight or is it them? I find myself asking that question every time I get a nasty letter or e-mail from an opposing counsel and my initial instinct is to fire one back. Or whenever a particular issue in a case hits on one of my own personal biases. But if I ask myself constantly whether I want to fight this issue or my client does, it usually leads to an even more powerful question: what is the best way to respond in this situation to accomplish my client's goals? The more I ask that question the less often I find that the answer is litigation . If all family law attorneys got informed consent as is required by Mary land's new Collaborative Law rules (Maryland Rules of Procedure 17-500 et seq.) I believe the practice of family law would change dramatically. If every lawyer fully explored with a prospective client all of the pros and cons of litigation, mediation, collaboration, and positional negotiation, would so many chose litigation? Doubtful. I think we would see a vast increase in mediation, collaboration, and interest - based negotiation. Unfortunately, most lawyers are not required to obtain informed consent. I agree, Bruce. Hopefully, this is changing as more clients are becoming educated about other dispute resolution processes and are cutting lawyers out of the process completely by handling their divorces on their own. I agree with you Bruce, change should come the way you are thinking. The prospect of seeing family cases should be changed.The lawyer who has accepted the family case should see the case in a prospective manner of the client. Family cases also involve the future of children of the family, this also should be taken into consideration in dealing the family cases. A lawyer should be able to fully explore the pros and cons of a prospective client, in family related cases.I also agree that there would be a vast increase in mediation and interest based negotiation. How are Mediators similar to Robin Hood? Should we also talk about when mediation fails?